Conduit - Where the Northwest shapes energy efficiency. Worried about where your next program is coming from? Take this course on MT 101. Heard the term "market transformation" bandied about but curious what it really means - and how it plays into your work in energy efficiency? Come join this course on May 13, the eve of EFX19 to get fluent in the S-Curves, addressing market barriers, and so much more. Space is limited, so RSVP today! Coming to Coeur d'Alene? Check out the pre-EFX events on May 13! If you are driving or flying into Coeur d'Alene for EFX19, please join us for some fun and educational activities on Monday, May 13. 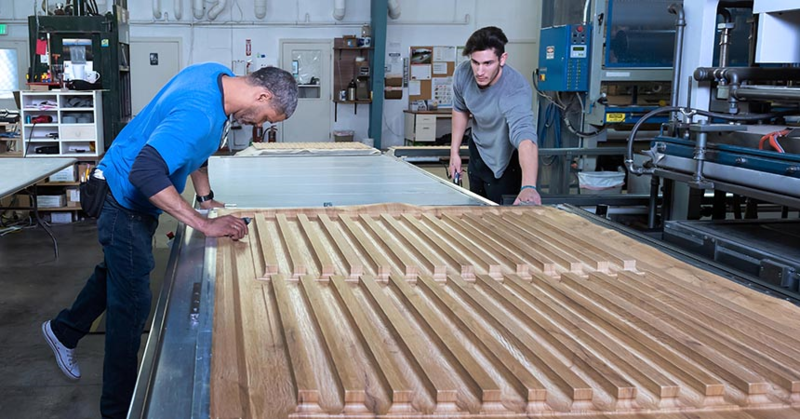 Recently, Bierson Corporation, a Southern Oregon company which manufactures decorative architectural components for offices, hospitals, retail and more, embarked on a lighting upgrade for its entire 18,000 sq. ft. manufacturing plant. If you like a side of conversation with your breakfast, then joining a breakfast roundtable at EFX19 might be just what you need. From showerheads and weatherization, to the 2021 Power Plan and the utility role in the EV market, you’ll be sure to enjoy a lively conversation. Trade Ally Network NW unifies lighting and HVAC trade ally networks to increase energy efficiency in commercial buildings. The network is a centralized resource that offers expertise to help you recommend the right energy efficiency technology and deliver cost and energy savings to your customers. Our goal is to create more opportunities for you to cross-promote lighting and HVAC projects by making easy connections between you, your local utility and the Network program team. We’re here to help you improve your technical and sales skills, deliver better customer service, and win more projects to build your business. By working in tandem, trade allies and utilities are an important part of achieving long-term energy savings and adding to the economic vitality of our region. Welcome (or welcome back) to Conduit ED!This community will be the place for everything related to the Conduit ED series on the Demand Response & Distributed Energy Resources - see below for articles related to the series as we post them. As a member of the community and as a "student" within this series, you'll be able to read weekly articles, videos, and see links to other resources within the series at your own pace. At the conclusion of the articles, we'll ask you to take a quick self-assessment survey to make sure that we keep improving, and that you get what you need for Conduit ED.As you go through the series, we encourage you to (please) comment and ask questions! There are no bad or dumb questions. Everyone is here to learn, together. To ask questions and discuss, use the comment functionality on any of the lesson pages. All of the articles will be posted here as they're published, in the "Resources" folder over to your left. Become a member of Conduit! Help us shape Northwest Energy Efficiency. Join the Conduit community to learn and share!